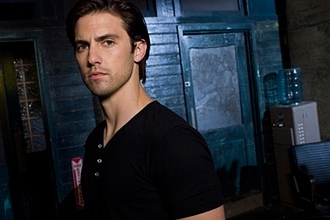 Milo Ventimiglia Added To Cast In Frank Darabont’s TNT Pilot ‘L.A. Noir’!!! We’ve talked about Darabont’s upcoming project ‘L.A. Noir’ before. Jon Benthal is set for the lead role of the series with Darabont writing/producing and directing the 1st episode. Now, Milo Ventimglia of ‘Heroes’ and ‘Gilmore Girls’ is set to star apposite Bernthal. I’m a fan of Milo’s and I hope the network will let Darabont do his thing, unlike AMC for ‘Walking Dead’. Ventimiglia will play Ned Stax, a former marine who served with Joe Teague (Bernthal) during WWII, now a budding lawyer groomed to be a master “fixer” for the mob. The project is based on John Buntin’s book L.A. Noir: The Struggle For The Soul Of America’s Most Seductive City, which chronicles the epic battle between Los Angeles Police Chief William Parker and mobster Mickey Cohen. ‘L.A. Noir’ is the true story of a decades-long conflict between the LAPD, under the determined leadership of Parker, and ruthless criminal elements led by Cohen, a one-time boxer who rose to the top of LA’s criminal world. Big Possible Casting News For Frank Darabont’s ‘L.A. Noir’ Series!!! This entry was posted on Tuesday, February 21st, 2012 at 9:36 pm	and is filed under News, Television. You can follow any responses to this entry through the RSS 2.0 feed. You can skip to the end and leave a response. Pinging is currently not allowed. « Check Out the Creepy Trailer for ‘7500’!! !